Phil Fitzpatrick has for over two years been working as an independent Export Sales Manager for APD (Automotive Parts Distribution Ltd) who are a leading member of the respected UK Parts aftermarket group called IFA, and who themselves are part of Auto Distribution International (ADI) one of the world’s leading aftermarket groups. Working as export manager to assist APD to grow its international business and a member of the export team, who has helped to increase sales in 2016 by over 100%. Phil has very good contacts across the world, working with over 70 countries worldwide. Euro Aftermarket has the experience and knowledge and credentials to increase sales worldwide. European Aftermarket Management works with manufacturers to assist them to establish themselves or to grow their sales in the UK and Irish automotive aftermarkets. Our aim is to be the UK and Irish sales office for foreign component manufacturers, assisting them to understand the UK and Irish component aftermarkets, to advise them on sales and marketing strategies and to grow their sales and margins. Following a very successful 12 month contract / project for Honeywell friction Germany (Bendix / Jurid) now part of Federal Mogul Motorparts, I have now returned and happy to advise working on project for one of Europe’s leading “Export Houses” Automotive Parts Distribution Ltd part of the IFA / Auto Distribution UK. European Aftermarket Management helps European based automotive companies and manufacturers enter UK and Irish automotive aftermarkets and UK companies enter the European markets. EAM currently acts as the UK sales office for many leading European Component Manufacturers. 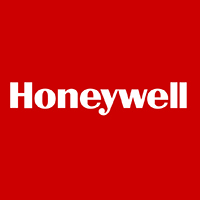 Employed by Honeywell Friction Germany on fixed term 12 month contract to assist them to keep current clients and if possible to increase sales on both passenger car and CV. Improved outstanding payments – all this was achieved whilst customers were concerned about takeover by Federal Mogul Motorparts. All 4 personal quarterly bonuses met and received ! Have your own experienced sales and marketing manager and UK office. 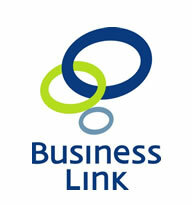 If you are trying to develop your sales – Speak to Phil Fitzpatrick today.